Good habits make good character, Good character makes good destiny. At Grandmaster Dong’s Martial Arts in Morehead City you will be part of a fitness program that benefits the mind and body. You will learn traditional Korean martial arts as Grandmaster Dong learned growing up as a child in Korea and later becoming the head martial arts instructor for the Korean Air Force. You will find our teen/adult classes are fun, motivating and educational. Our experienced instructors will be there to guide and challenge you through your journey. Start today with our 30-Day Trial Beginner Program. Our classes will give you the outlet you have been seeking. Martial arts is an excellent way to relieve your stress by exercising the mind and the body. You will get physical activity while learning breathing and relaxation techniques. Wanting to drop a few pounds? Tired of walking on treadmills that lead nowhere and picking up weights that do not need to be moved? Our martial arts classes are well balanced to improve weight loss and increase strength. You will start burning calories your first class while learning practical self-defense and a traditional form of martial arts. Our instructors will assist you in getting the optimal weight loss benefits from our classes. We have had many students weight loss goals in our program. Whether you are looking to lose a few pound, prevent diabetes, or have improved cardiovascular health, martial arts is a great place to start. Begin today! Wanting to be more flexible? You will have a certified instructor lead you through stretching excercises each class. You will also learn different styles of stretching such as, active, passive and dynamic. Many adults begin seeing improvements in range of motion in just a few classes. you will also learn excercises known as Ki Gong to increase range of motion and improve circulation. Think you are too old to begin? Many adults that come to us either have always wanted to try or wish they had continued when they were a child. No need to wait any longer… we have had many adults reach their life-long dream of attaining a black belt in the martial arts. Our certified trainers will assist you with any concerns you may have and can even adapt most excercises for those nagging aches of long ago. Try our 30-Day Trial Program and discover that you can do it too! See what Antonio thinks about our program. He attained a childhood dream of becoming a black belt at the age of 59. Want to get out more for social interaction? You will feel comfortable and welcomed in our family-friendly atmosphere. Other adults are quick to welcome you and will help you in any way during your training. Whether getting away from work or out of the house, you will have an opportunity to interact with other adults, meet new friends, and achieve a common goal together. Be YOUR best, nothing less. 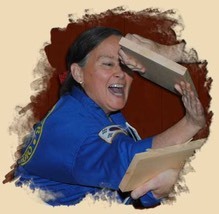 Our instructors have personal, weekly contact with Grandmaster Dong. In addition to this access to his vast teaching experience, our instructors are certified personal trainers. We strive for a safe, fun, family-oriented atmosphere designed to encourage the beginner and challenge the expert.